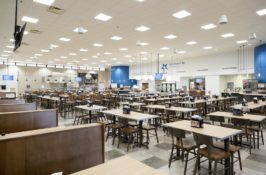 As part of your group’s meal plan, your camps and conference attendees will enjoy OKCU’s dining program. We will work with you, guiding you through a simple process that ensures your event is managed successfully. If you are choosing to not partake in regular dining service and would like to incorporate special catered meals into your program, our professional catering team could certainly accommodate you. You may select from a wide variety of menu options to fit your budget. We do ask that you contact with Catering Services as far in advance as you can. Prices will vary depending upon your needs. When multiple groups are on campus we may have to adjust eating schedules to accommodate all groups on campus. You may also need to fill out some forms from the Dining and Catering Services.